I'm sure this question has come up plenty of times... but here we are fresh into 2019 and I'm possibly looking to get a short course truck. I have Traxxas models already and I'm wondering is it worth it to stay with Traxxas? 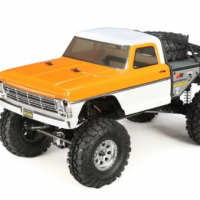 Do the Associated, Losi and Arrma trucks perform well in competition? Ease of maintenance and bang for buck? I appreciate any input, and thanks in advance!